If you haven’t tried Live Casino Games yet, you’re in for a treat! Offering some of the most immersive and exciting internet casino games experiences around, you get the double benefit of our incredible games software and the skills of a professional dealer. You play at home or on the move on your usual device, and live-streamed video footage of your dealer will play out. There are a number of Live Casino Games on offer, with each offering its own rewards and payouts. Additional benefits include private games, leaderboards, chat with other players and the dealer, and increased in-game info as you play. They’re not just fun, they’re the closest you get to real casino games on your laptop, mobile or tablet! Only available in Real Money Mode, you just need to have an active casino account and bankroll to play. And to make your bankroll stretch further, you can opt for your exclusive Welcome Bonus up to a max of $/€5000 when you sign up and play our real money games today. There’s no evidence of any society that didn’t choose to play games or gamble; it’s part of the adventurous human spirit. We like company, we like to play, and we like to compete! Casino games enable all of these elements, whether you like to play for money or matchsticks! Yet the first recognised casino building wasn’t created until the 17th century in Italy and it unwittingly paved the way for the online casino games experience you can enjoy today. Previously hidden in back streets and private parties, this Venetian casino used during festival celebrations gave gambling games a more reputable name and enabled more casinos to spring up. And once they began, they spread like wildfire! The United States and Europe were particularly partial to casinos and people flocked to play the fun and fair games that could now be regulated. And so, it’s no wonder that by the time the internet was created, casino games played at home were in great demand. It didn’t take long until online casino games were invented, with every game you can think of becoming available; from online slots and video poker, to craps online and blackjack. But as technology improved and live-streaming became a society norm, players began to desire something a little more realistic and sociable, like the bricks and mortar casinos could provide. And so, Live Casino Games were created, using the combined efforts of the skills of a professional dealer and innovative games software, the online gaming experience has grown into the most immersive, authentic and sociable to date. What Live Casino Games Are Available? Want an idea of what we offer in our Live Casino? All our games use top of the line software, innovative design, professional dealers with heaps of experience, and reliable live streaming technology to bring you one of the most exciting, immersive and comprehensive casino feel possible online. And don’t think you get just a boring roster of games; there are plenty of unexpected treats and variations waiting. Read our overview below to see what suits your tastes and then hit the lobby to get started. 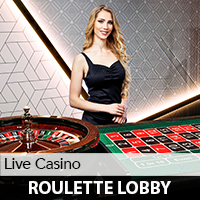 Live Roulette: Using a single zero, European-style wheel, you can expect fun and high-paced action as you place your single number, multiple number and colour bets. Watch the dealer set the spinning wheel in motion and wait for it to settle; it decides your outcome and your payout. Live Blackjack: When you’re heads-up against a real, live, professional dealer, the excitement is second to none. Hit or stand, split or double; the rules are the same as any standard game as you make the highest hand you can and pit your skills against the dealer in this immersive and exciting way to play blackjack online. 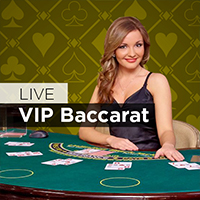 Live Baccarat: Would you prefer to back the banker or the player? 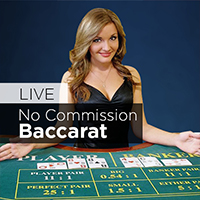 It’s up to you to decide when you play the most realistic online baccarat game around. The video footage is streamed instantly to your screen, without lags or bugs, for a truly social and fun casino experience online. 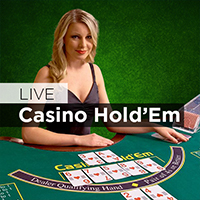 Live Casino Hold’em: This poker-style game requires an ante, and then you can add side bets. Your professional dealer will oversee the game, laying down the cards and providing in-game chat and statistics. Play your hand, (you can bet or fold) to see if you can win real money in a live casino setting in the comfortable setting of home. 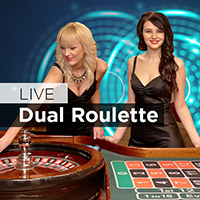 Live Dual Roulette: If you like games with a bit more speed and action, this could be the live casino games choice for you! You can have double the fun – and double the chances to win – with two wheels to bet on simultaneously and both showing on your screen at the same time. Exclusive Roulette: Following standard roulette rules and layout, the benefit of this exclusive version is that private, invite-only games with family and/or friends can be created. You get a room just for your game, lots of game statistics, and the chance to invite only the players you want to play against! Simple but exclusive – you’ll feel like a VIP! 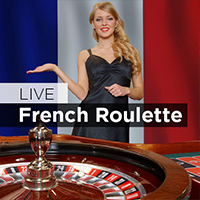 Live French Roulette: Played with the European rules as standard, this game version follows standard rules but offers extra bets that you wouldn’t usually see in a standard game. An example of what you can expect is the addition of bets that return some of your stake, even if you lose! And with a live dealer for extra fun. Mini Baccarat: A smaller, easier version of baccarat, this mini option is enjoyed heads-up against a professional dealer. You can expect state-of-the-art technology, incredible game stability, the best possible video quality and streaming, and real money payouts. 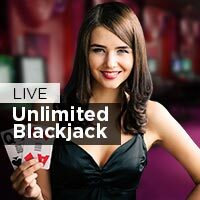 Live Unlimited Blackjack: Again, using standard game rules but with an extra twist; during this exciting option, more than one player can bet per hand. So, it’s like having team mates – only you each get to bet in your own way, even though the cards are the same! 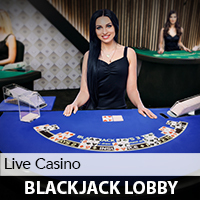 It’s innovative and thrilling and unlike any other blackjack game you’ve ever played. To get started, check out the start times of the scheduled games and hit the tables during registration to get your seat. All Live Casino Games can only be played for real money, which means you can only win real money payouts, and at designated times. But you can always enjoy a game when it suits you as we have over 300+ games in total with all, except the live games, available 24/7. New to casino games online or the live games format? Not sure whether you’ll enjoy the experience or whether it will live up to expectation? We’ve compiled some tips that will help you get started and get the most from your game. And don’t worry, even though our casino games are popular with returning players, you’re bound to be playing alongside someone just as new as yourself – our chat facility will make you feel more at home and if you have any questions, you can always contact our Customer Support for further friendly, yet professional, advice. Tip 1: Money Matters! As our live games are only in Real Money Mode, this means you’re playing with your actual bankroll funds. And so, as the emphasis is on fun, you should mind your money by making a plan on how you want to spend before you play – and then just stick to it! Set wagering limits and follow them. Bet in such a way as to get more games for your buck. Decide whether winnings will be played or kept. Choose table stakes that match your bankroll. All these little steps will ensure you enjoy the maximum fun. Tip 2: Read the Rules! Choose games that match your personality and the way you play. For instance, if you like lots of bet options, craps or roulette might be the better choice for you. The rules are there to assist you, so taking some time to read through them can only help your game and your fun levels. Skipping them might mean missing something vital, like how to play a bonus feature. Invest a bit of time to get more from your game. Tip 3: To Bonus or Not to Bonus? Take time to check whether a bonus you’re fancying suits your game – such as the way you wager and the games you play. These can easily affect your bonus and to check what is being offered, read all the T&Cs and check out anything you’re not sure of before accepting the bonus funds. Bonuses include a Welcome Bonus up to $/€5,000, reloads, specific games bonuses and match-ups. Here are some commonly used terms that it would be worth your while getting to know, so you can hit the live tables feeling like a regular – even if you’re a complete newbie! They’ll help you get to grips with the games and software and help you on your way to experience the benefits of a live casino. Bankroll: you make a deposit into your casino account and use this money to place your wagers. Bet: meaning ‘wager’ – in real money games you use your actual bankroll, in Practice Mode you use virtual chips for free. Betting Limits: they differ in each game, so choose a table with limits that suit your bankroll and the way you wager. Bonus: cash added to your casino bankroll by your chosen internet casino – T&Cs apply. Cashier: all money transactions happen in here including making your deposits, withdrawing your winnings, claiming a bonus. Collect: hit this button to collect your winnings. House Rules: the rules that the dealer has to abide by while in action. Payout: the money you win when you hit a winning combination. In real money games you win actual cash, in Practice Mode you win virtual chips only. Progressive Jackpots: these are jackpots that grow until they’re claimed; they start from a seed amount, link across multiple games, and every bet into the progressive adds more to its prize pool. Progressive regularly pass the $1 million mark and can only be played for real money. Real Money Mode: games played for cash wagers with cash payouts. 100% Welcome Bonus: a bonus for players new to the casino, which matches their deposit up to specified amount. The Welcome Bonus at Mansion Casino is currently to a max of $/€5000 for every player. Play Real Money Live Casino Games Today! Register an account: Complete the registration form online for identification and security reasons. You can also select your currency and you must read and then agree to the T&Cs. Deposit Funds: There are multiple deposit methods available, with each fast and secure. Options include debit, pre-paid and credit cards, e-wallets, and bank transfer. Pick yours inside the online Cashier and set up your bankroll – you can also claim your exclusive Welcome Bonus to a max of $/€5000. Go Live! When your money shows in your bankroll, it’s time to play! Select Live Games in the lobby and you’ll be taken to your table and dealer for some incredible action and lots of winning opportunities.